Mixing business with pleasure is easy on Galveston Island where state-of-the-art meetings facilities are surrounded by a tropical paradise complete with 32 miles of sparkling Gulf Coast beaches, adventure attractions, rich history, unique shopping and culture. Located just 50 miles south of Houston, this small island possesses all the charm of a historic beach town while offering modern amenities. 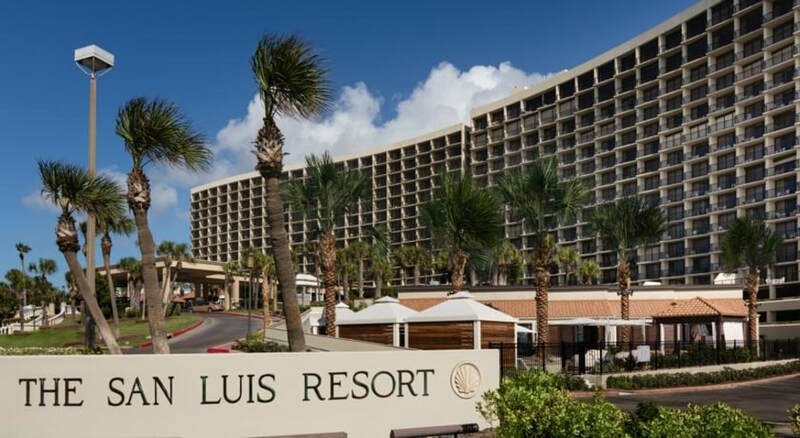 Unfortunately, our conference hotel is full; however, The San Luis Resort has several sister properties on or near the same site that are available. Make a reservation online, or to make reservations by phone, call 800-392-5937 and state that you are with the TYCA~SW Conference. William P. Hobby Airport is the closer of the two airports, just 40 miles from Galveston. DIRECTIONS TO GALVESTON: Begin at William P Hobby on Lockheed Ave and go North for 0.2 miles. Turn left on Convair St and go West for 200 feet. Turn right on Telephone Rd, TX-35 and go North for 0.3 miles. Turn right on Airport Blvd and go East for 2.4 miles. Turn right on Gulf Fwy and go Southeast for 0.6 miles. Continue on ramp at sign reading "I-45 S" and go Southeast for 0.3 miles. Continue on I-45 and go Southeast for 35 miles to Galveston Island. George Bush Intercontinental Airport lies on the north side of Houston, 70 miles from Galveston. DIRECTIONS TO GALVESTON: Begin at George Bush Intercontinental Airport on Terminal Rd S and go East for 0.6 miles. Bear left and go Southeast for 300 feet. Turn left on Greens Rd and go East for 2.4 miles. Turn right on Eastex Fwy, US-59, US-59 N and go South for 0.6 miles. Bear left on ramp and go South for 1000 feet. Continue on Eastex Fwy, US-59 and go South for 14 miles. Bear right on ramp at sign reading "I-45 to Galveston / Dallas" and go South for 0.6 miles. Continue on I-45 and go Southeast for 45 miles to Galveston Island. Scholes International Airport at Galveston welcomes private charters.